The parade began with spectators rising and removing their hats as the North County Veterans Color Guard and Honor Guard marched by with the flag. Photo by Rick Evans. 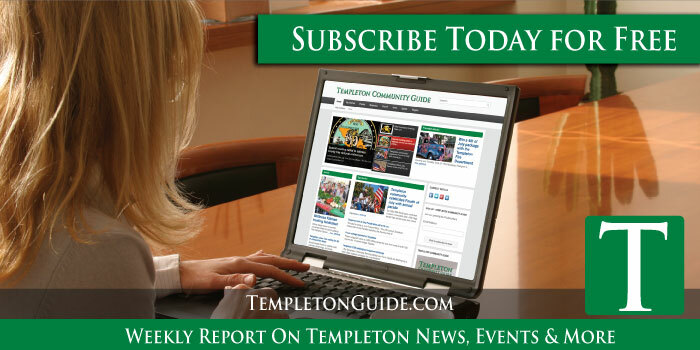 –With flags waved high and the stars and stripes draped on houses around every street, the Templeton community celebrated their country’s independence with their annual Fourth of July parade Monday. The templeton High School Drama group performed a song from “Little Shop of Horrors”, having just showcased it in Scotland. Photo by Colby Stith. 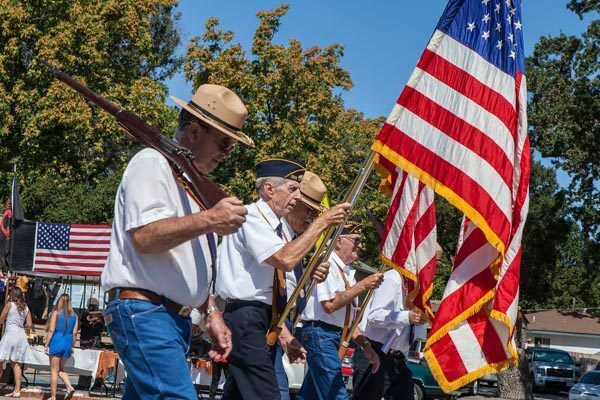 The parade began with spectators rising and removing their hats as the North County Veterans Color Guard and Honor Guard marched by with the flag. 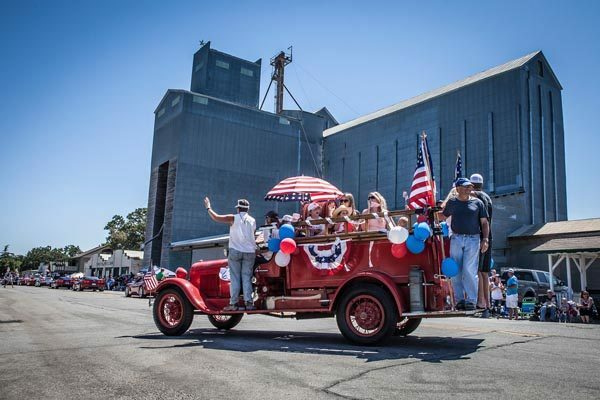 The veterans were followed by the Grand Marshal, Greg O’Sullivan with honorees Dale and Milana Radford driving a classic Model-T. From there, the parade became a melting pot of different organizations and representatives showing their part in the community. Members of the Templeton Historical Museum drove an old school bus that was almost fully restored (save for the roof that is). 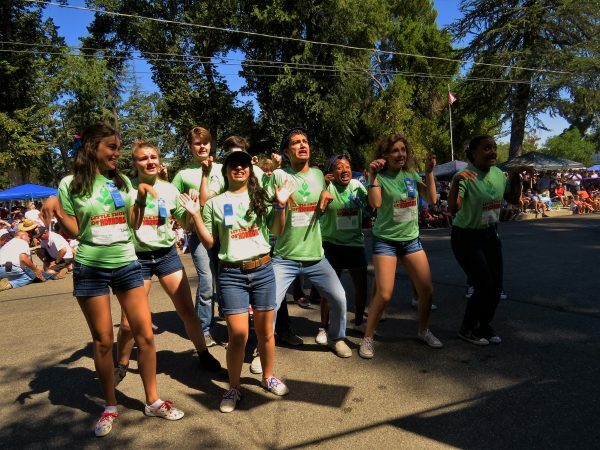 The Templeton High School drama department showcased a song from the play they performed in Scotland, “Little Shop of Horrors.” Soon afterward, the Templeton High Cheer squad kept up the energy in the crowd. A collection of families, dealerships, and clubs showed off dozens of cars and trucks of various decades, from Model-T’s to more recent and hefty Chevrolets. 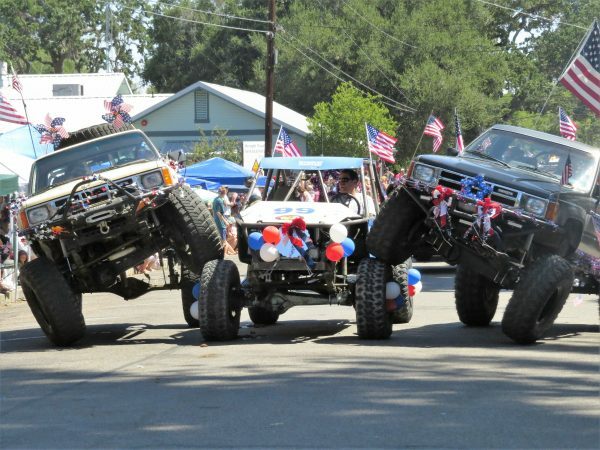 At one point, three trucks from the San Luis Obispo 4 Wheelers stacked their wheels one top of one another in a sort of vehicular pyramid; a sight that quickly became a crowd favorite. Talented drivers from the SLO 4 Wheelers stacked their tires to create an impressive pyramid of vehicles. Photo by Colby Stith. Even representatives like Fifth District Supervisor Debbie Arnold, First District Supervisorial Candidate John Peschong, and Congressional Candidate Salud Carbajal came to push for their campaigns in this big election year. 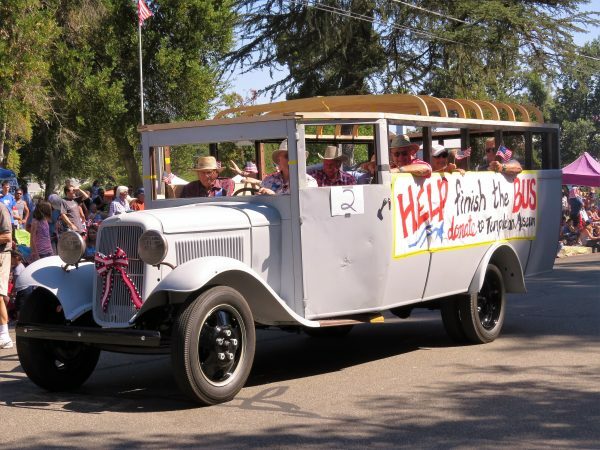 As usual, the Templeton Fourth of July Parade was a huge hit with a large turnout. The people of the community were able to come and celebrate their independence together. They were reminded of what it truly meant to be an American. As a whole, they let freedom ring. The Templeton Historical Museum drove their “almost completely restored” school bus and is currently looking for donations to complete it. Photo by Colby Stith.